Made in USA, Talon 42, #5 button stamp, single-stitched back pockets, single felled inseams, black bartack stitching. Outseam: 40.75". Made in USA! i.e. the greater the area of fabric in the photo, the closer the image is to "reality". 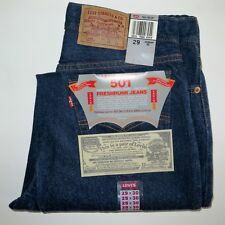 the classic straight cut of the 505, made in the USA! Bad Karma. very good condition. Most of the previous use and wear is manifest in an attractive way. I.e. the greater the area of fabric in the photo, the closer the image is to "reality". the classic straight cut of the 505, made in the USA! Bad Karma. style / model very good condition. Most of the previous use and wear is manifest in an attractive way. •Bottom length 13". •Length 30. • Bottom length 12”. • Waist 28. • Length 30. • Bottom length 13”. • Waist 29. •Bottom length 11". • Stained, can be dyed. •Bottom length 12". • Slight stains. • Length 3”. 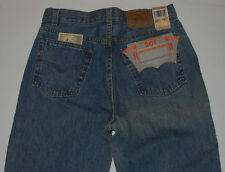 RARE 515 - 0217 LOT MODEL WITH RIVET ON BACK POCKETS. Inseam:29". • Bottom length 13”. • Length 30. • Bottom length 12”. • Very Stained, can be dyed. Style : Bell Bottom. Size : 31 X 30. •Bell Bottoms. •Bottom length 10”. •Length 30. Bell Bottoms. Bottom length 11". • Bottom length 12”. • Length 30. • Slightly stained creases. • Bottom length 12”. • Length 30. • Bottom length 12”. • Waist 30. •Bottom length 12'. •Length 30. Bottom Length 11". Slight ceasing stains, can be dyed. • Bottom length 11". • Length 30. Free returns & I combine shipping! 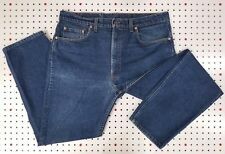 The jeans were manufactured in the 1980's. Leatherock USA has done the bead work sometime before the late the 1990's. 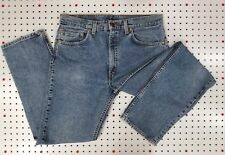 The jeans feature rivets that were only used from 1982-1989 and a Talon 42 zipper. Please check the measurements to ensure the most accurate fit, thank you!. • Bottom length 13". • Length 30. •Bottom length 10". •Length 30. Style : Bell Bottom. Size : 28 X 30. Bottom length 12'. Le ngth 30.